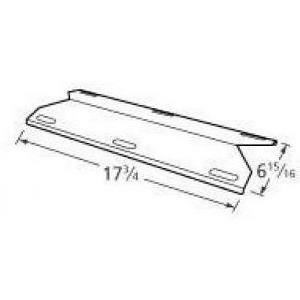 This MCM Replacement Stainless Steel Heat Plate fits certain Glen Canyon, Jenn-Air, Kirkland, Nexgrill and Sterling Forge Brand BBQ Gas Grills. Plate dimensions: 17. 75 Inch X 6. 375 Inch.